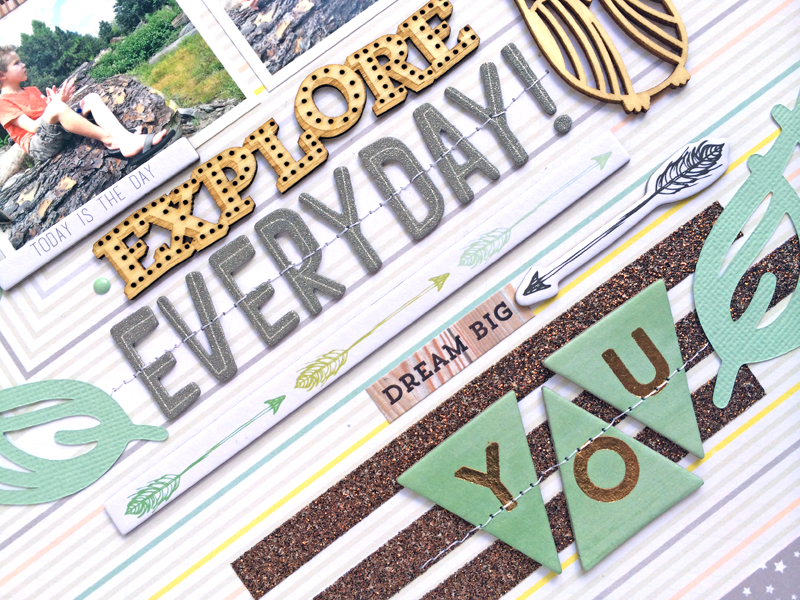 Today I'm stopping in to share a new layout and card for Hip Kit Club, using the September 2014 Hip Kit & Add-On Kits!! I love the look of an angled design, and actually did a similar look on one of my layouts for Hip Kit Club earlier in the year. But I find a diagonal striped paper, helps me get motivated with this type of design, rather than trying it on another type of paper. 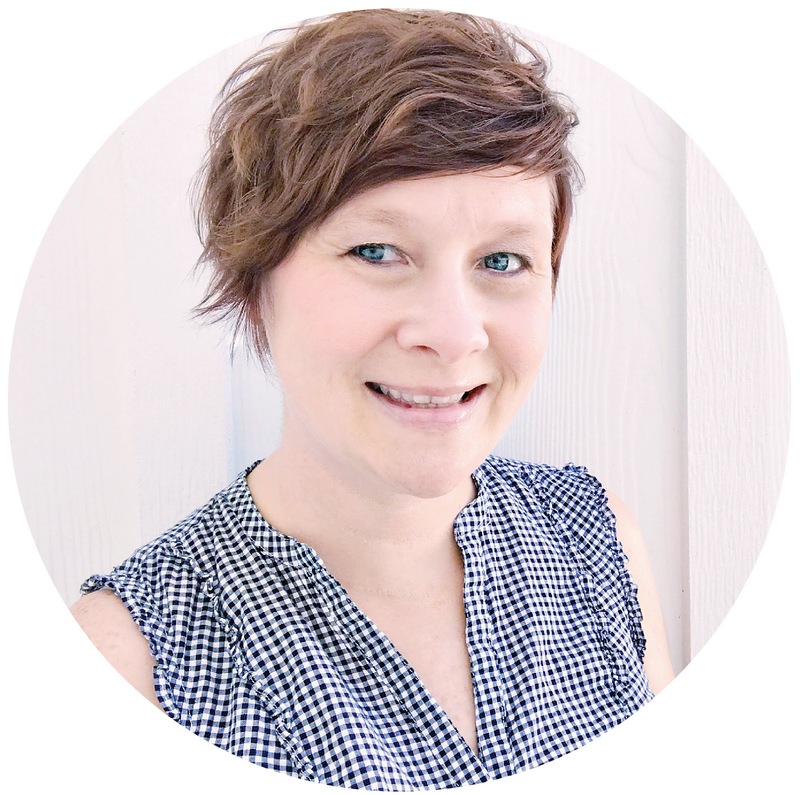 The Crate Paper patterned paper gave me guidelines for placing my photos and elements on the layout. 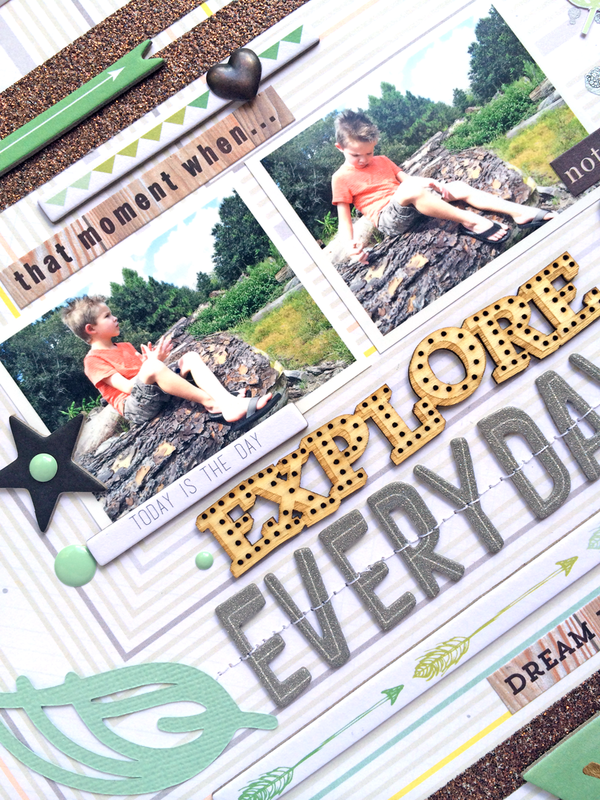 I started my page, by adding the wood veneer word "Explore", from Studio Calico to the center of the page. Then my photos and embellishments fell into place from there. I also wanted to continue my diagonal lines, so I used some of the awesome Glitter Washi tape, included in the September 2014 Embellishment Kit. Woodland animals always look adorable on projects, and there are lots of cute ones included in the September 2014 Hip Kit & Add-On Kits! I wanted to use the Deer patterned paper from the Brighton Pier collection from Studio Calico on a card. And of course, it gives you a perfect sentiment to work with...You're a Deer! 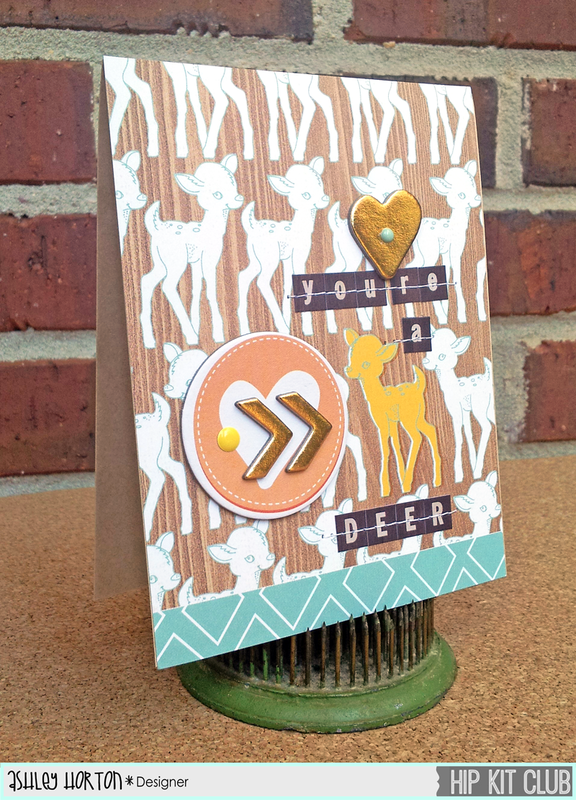 I arranged my title and chipboard heart embellishment around the Yellow deer, to add emphasis to the theme of my card. And I stitched through the alpha stickers, for an extra layer of texture! If you haven't had a chance to pick up your September Kits, then make sure you visit the Shop, before they are all sold out! 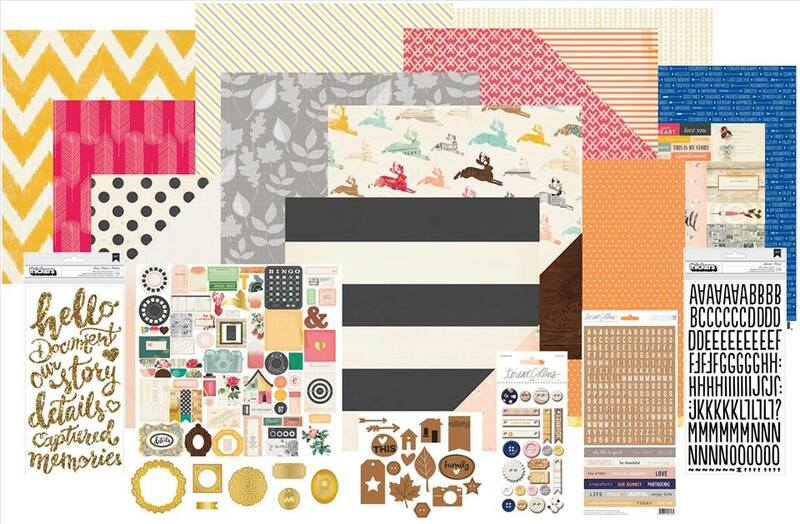 And the October 2014 Hip Kit & Add-On Kits are already available in the Shop and they are amazing!! Here's a look at the Main Kit! Make sure you visit the Shop to see all of the October 2014 Add-On Kits! !